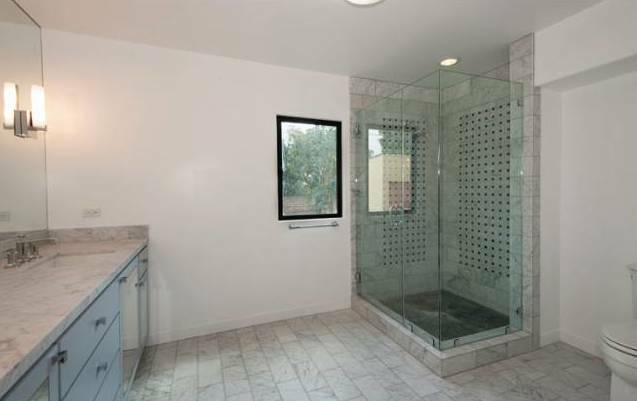 Located in one of the hottest rental markets in LA, is this completely re-imagined duplex. In close proximity to 3rd street cafes. No expense has been spared. All new Kitchen and baths with custom cabinetry, slab counter tops, amazing top-of-the-line stainless appliances and high end fixers. Each unit has a sumptuous master suite with spa-like bath that includes his and her sinks and huge walk-in closet. New landscaping in the huge grassy back yard. 6 car off street parking PLUS a 2 car garage. New Windows, New Roof, New HVAC, New Electrical, New Floors, New Plumbing, New Appliances and everything was done with city permits and Licensed Contractor.